Many parents these days are finding it difficult to make ends meet, and as a single working mum you may be feeling the crunch more than most. Luckily, there are some ways to get help when you most need it. One of these is Income Support, benefits that help people who aren't available for work full-time due to other commitments. 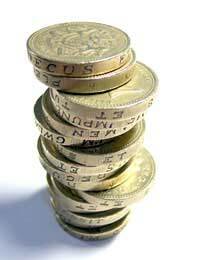 Income Support consists of benefits to people who are unable to work full-time. Often, this can mean single mums who are busy taking care of their children part of the time, and so are unable to work full-time. If you need extra money to live on to help supplement your income, you may qualify. You also have to be either not working, working less than 16 hours per week, and have savings of less than £16,000. If you are ill or on parental leave, you also may qualify. The amount that lone parents get depends on a variety of factors. They include the number of dependents you have, your savings, your earnings, your age, the age of your kids, if you or your kids have any disabilities, and the fact that you are not living as a couple. If you qualify for Income Support, you will also be entitled to help in other ways. They include free dental care, prescriptions, school meals, Housing Benefits, and Council Tax Benefits. Please note that the government will not allow Income Support to lone parents who have children over age 5 as of May 2012. Instead, they will be entitled to JobSeeker's Allowance. In effect, this means that if you have a child aged 5 or above and are a single parent, you will only get these benefits if you are involved in actively seeking work. You will need to check with your local benefits office to see what applies to you. If your youngest child is below the age of 12, then you are entitled to restrict the hours you work to that of school hours. These measures, in theory, are coming into effect to encourage single parents to work. Income Support is designed to benefit people who are on a low income and finding it difficult to pay for their basic needs. As a single parent, you may also be entitled to other benefits (see above). If you are refused Income Support for any reason, you have the right to make an appeal and have your case looked into by the Social Security Appeal Tribunal. @deb - you might find the site Turn to Us, link here useful as it can tell you what benefits you are entitled to. I hope this helps. I'm a single working mum of threeage 13,5and 2, i work in a care home and my hours are 24 hours a week , they have put me on training on my day off which means i would have to pay more childcare out which i carnt afford, and today they have said if i don't do the mandatory training they will have to let me go , threatened with the sack in other words, i e been there 5 year and could i have some advice please on my rights surely they carnt sack me for that ,ive been a carer for 11 years. Any advice would help please.